We’ve added a new member to the team – a fluffy ragdoll cross kitten. Ragdolls are a breed of cat that is also known as a floppy cat as it’s been bred to be very passive and flops like a ragdoll when you hold it. Our ragdoll cross has some ragdoll traits, such as following us around, really friendly and he is very fluffy. He doesn’t have the ragdoll colouring and takes after his dad (just like his five siblings). Dad was basically seen a few times and then not again. He was a healthy looking black cat. Some people think ragdolls should not be let out. 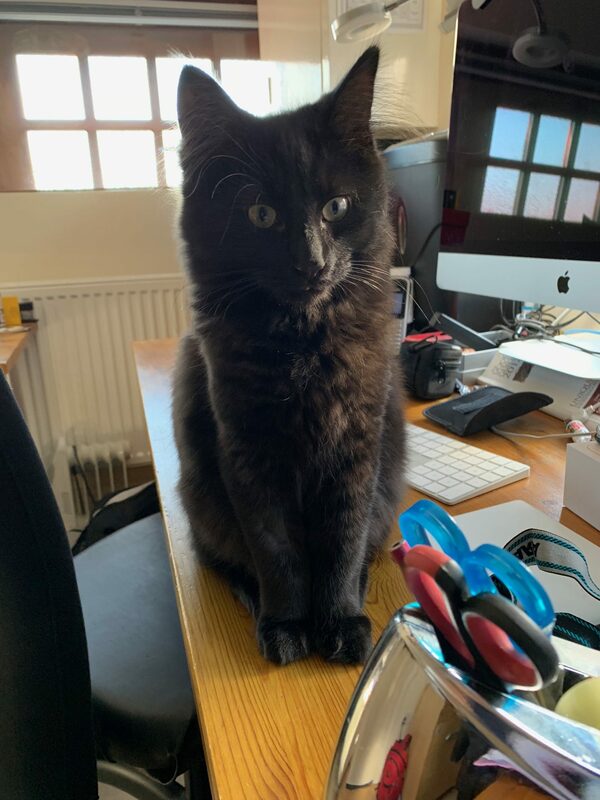 Doc is four months old and neutered, so he’s starting to go out a little, but we are obviously very concerned for him, we just don’t know if he will have the lack of survival instincts of his mother or be streetwise like his father. Doc is from a litter of seven. Six survived and the ragdoll owner wanted to find homes for them rather than send them to a rescue, so that’s how we came to get Doc. We didn’t pay for him, but took him straight to the vet to get checked over and vaccinated. The ragdoll owner just wanted a good home for the unexpected kittens. We got a Welcome Kitten Pack that includes microchipping, injections, 6 month check and more for £59 from our local 608 Vet. He eats Felix, Go-cat and Hi-life kitten wet and dry foods and then has treats of the more expensive pouches every so often. He has one pouch in the morning and one at night and measured dry food in the day. In terms of fleaing and worming, we got a prescription from the vet and buy Advocate online, saving around £26 every six months. We brush him with his Pet Angel brush every day, mainly as a way to bond with him and keep hair mess to a minimum. He uses an Omega Paw litter box. I roll the poo and pee in the morning if I see any mess and my son rolls and empties later in the day. The litter box saves us time and hassle of scooping. Inappropriate scratching hasn’t been a real problem as we have him three scratching posts. We clip his claws every couple of weeks as he does leave marks on our leather sofas. He does try to get into our kitchen surfaces which does my head in sometimes, so I have learnt to keep my surfaces spotless, so there is less temptation to go up there. I have also put a climbing tree In the kitchen to meet his urge for height. He sleeps in my son’s room. Either right next to him or around the room. 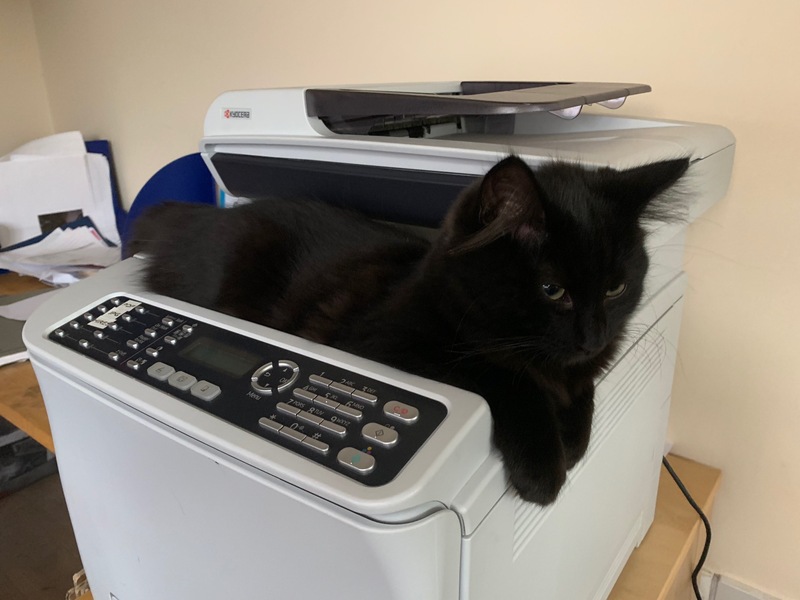 He refuses his little warm igloo bed and just sleeps where he likes – in the day, he especially likes the printer. Anyway, we’ll add more images and info as he grows.